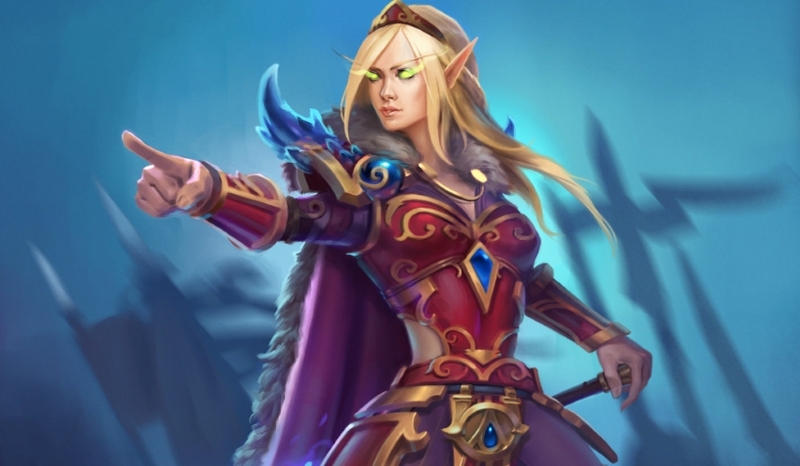 Our Odd Paladin deck list guide features the best Rastakhan deck list for Season 60 of Hearthstone (March 2019). Our Odd Paladin guide also contains Mulligan advice, card combos and strategy tips. Odd Paladin is a Hearthstone deck many have returned to due to its continued dominance in the current Rastakhan meta. It's a deck that specialises in fielding lots of minor minions onto the board, then buffing them up using any number of powerful boosts. The centrepiece of the deck is Baku the Mooneater, which upgrades the Paladin's Hero Power so it produces two Recruits with each button press. In this latest version of our deck guide, we're highlighting the most competitive deck list that's seeing play as of today. We've also got detailed strategy and Mulligan advice for you, as well as a look at all of the card combos you have to weave together in this exact formulation of the archetype. Finally we've got an overview of the signature cards in the deck so you can start forging ahead with your own creations, before finishing up with a breakdown of all the cards that can't be included in this deck - not if you want Baku the Mooneater's awesome Hero Power boost to activate, that is! Here is the strongest Odd Paladin deck list seeing play right now. Odd Paladin is a midrange deck that makes use of Baku the Mooneater to upgrade the class Hero Power to summon two 1/1 Silver Hand Recruit tokens on use, and so build a wide board of minions. Even though it’s missing many key Paladin cards such as Truesilver Champion, the deck is also packed with cards that can buff each other in order to over-run opponents with many empowered threats. Early game: Fight for board control with your early drops so you can look at buffing any surviving minions in later turns. Don’t be afraid to spend a turn just using your improved Hero Power, as the army of Silver Hand Recruit tokens can quickly build if your opponent is unable to remove them both each time – especially if you can throw a cheap buff on them. Unidentified Maul can also help maintain your board presence by using it to take out your opponent’s early drops. Mid game: Continue the tide of minions into the mid game, but also now think about some of the best ways you’re going to be able to buff them too. Fungalmancer can hit two adjacent creatures for a +2 /+2 buff, while your Frostwolf Warlord can be boosted a huge amount if you manage to preserve the board! If a lot of your small creatures have died then you should be able to set up a big tempo play with Corridor Creeper. Late game: If your opponent hasn’t been able to keep your previous boards in check then the game should be yours for the taking by now. If they’ve controlled it well, the good news is you have lots of options to flood the board yet again. More Silver Hand Recruits come via Vinecleaver, and your Hero Power can send wave after wave of your own men back onto the battlefield ready to be buffed up all over again. There’s also Leeroy Jenkins, who can give you the burst damage needed to see off the game. 1. Your improved Hero Power goes some way to helping you keep up with aggro decks, so weave it into your turns as much as possible. 2. As Consecrate is a four-Mana card you can’t run it in Odd Paladin, which takes away your major board clear. With that in mind, maintaining board control by other means becomes even more important. 3. Stonehill Defender is a decent early game Taunt minions for stalling aggro. 4. Unidentified Maul enables you to get some extra value over your opponent too, and keep your minions safe on the board. 1. You’ll want to open more aggressively so as to dominate the board as quickly as possible before they can get their game plan into gear. 2. As you should always keep in mind when up against control, though, do not go too wide on the battlefield if a board clear could leave you with nothing. 3. All the same, you have a lot of late game reach in Odd Paladin that can help you stick it out with the heavier control decks after they’ve burned their removal. 4. Stonehill Defender is particularly powerful in Paladin as you have a good chance of finding either Sunkeeper Tarim or Tirion Fordring – two huge late game threats that will really help against Control opponents. 1. Righteous Protector: Rubbish core stats for the cost but because of the Divine Shield it becomes a solid all-round one drop. 2. Lost in the Jungle: The more Silver Hand Recruits the better, and this offers some decent early pressure. 3. Argent Squire: Another strong early game minion for Paladin. 4. Fire Fly: Another strong early-game minion that effectively regenerates itself for your hand. - Acherus Veteran applies a permanent +1 Attack buff to the friendly minion you target. Blessing of Might provides an extra +3 Attack to the target as a spell effect. - As long as Raid Leader is in active play, all of your other minions will gain an extra point of Attack. When the opponent removes or silences this card, however, the effect ends. - When you play Divine Favor you'll keep drawing cards until your hand size is equal to your opponent's. It goes without saying that the thinner your hand, the better when it comes to timing the play of this card. - When you drop Fungalmancer onto the board, the minions positioned either side of it will gain a chunky +2 / +2 of stats. Corridor Creeper can be a great target for this effect in particular. - When you field Frostwolf Warlord he'll gain an extra point of Attack and Health for each other friendly minion that's in play at the time. - Stormwind Champion is another card that provides a big buff to all other friendly minions - as long as he remains active, that is. They'll get +1 / +1 of stats, and so gain extra power and durability. - Whenever you swing with Vinecleaver you will generate an extra pair of Silver Hand Recruits for your side of the board. Purifier's Maul - Give your minions Divine Shield. Sacred Maul - Give your minions Taunt. Champion's Maul - Summon two 1 / 1 Silver Hand Recruits. Blessed Maul - Give your minions +1 Attack. Odd Paladin was already reasonably well-refined in the previous meta so the deck list is mostly laid out already. These are some of the important cards along with standouts from the new set. Lost in the Jungle: A good way to start getting Silver Hand Recruits onto the board quickly and efficiently. Divine Favour: Playing lots of cheap cards means you’ll soon run out of resources, but this should allow you to draw back up to a reasonable hand size if you’re out-pacing your opponent. Stonehill Defender: A fairly standard three-drop, but as Paladin Taunt minions will be prioritised this is an excellent way to get either Sunkeeper Tarim or Tirion Fordring into your hand. Leeroy Jenkins: Offers you the burst damage you might need to finish a game off quickly – especially against Control decks. Level Up: Considering all the Silver Hand Recruit tokens you’ll be summoning this card can be used to create a truly formidable fighting force. Corridor Creeper: Given Odd Paladin’s strategy of flooding the board with many minions, this should be discounted fairly quickly and set up some potentially huge tempo plays. Vinecleaver: An expensive weapon, but the additional Silver Hand Recruit tokens it generates fits in perfectly with the intentions behind this list. 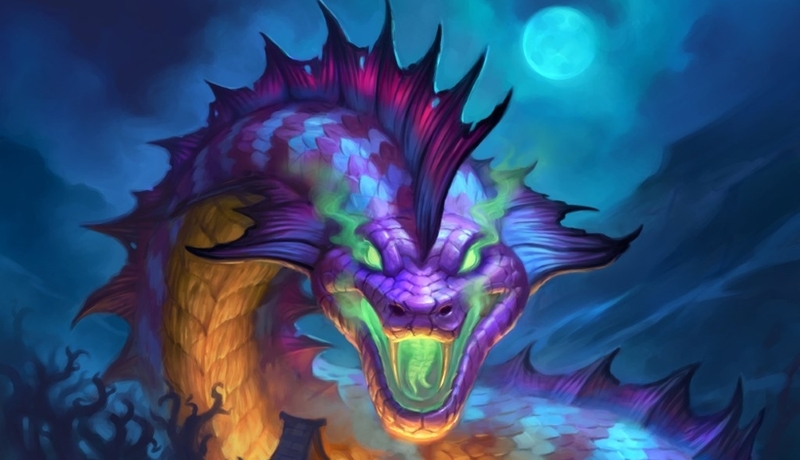 Baku the Mooneater: A pain when you draw it. You’re really only using it for the improvement to you Hero Power and nothing more.